Upcoming Educational and Exciting Events! GlobeMed, a national non-profit organization that connects American universities in one-to-one partnerships with grassroots organizations around the globe, has released a call for art! All artists are invited to submit 2D artwork in the theme: “Impact.” Who or what impacts you? What do you see as your impact on the Rochester community? The world? There is a $15 submission fee for community members, but submission fees are waived for local students. Submissions are due November 8th. All proceeds from submission fees and donations will go to Kallpa Iquitos in Iquitos, Peru to support youth development programs. 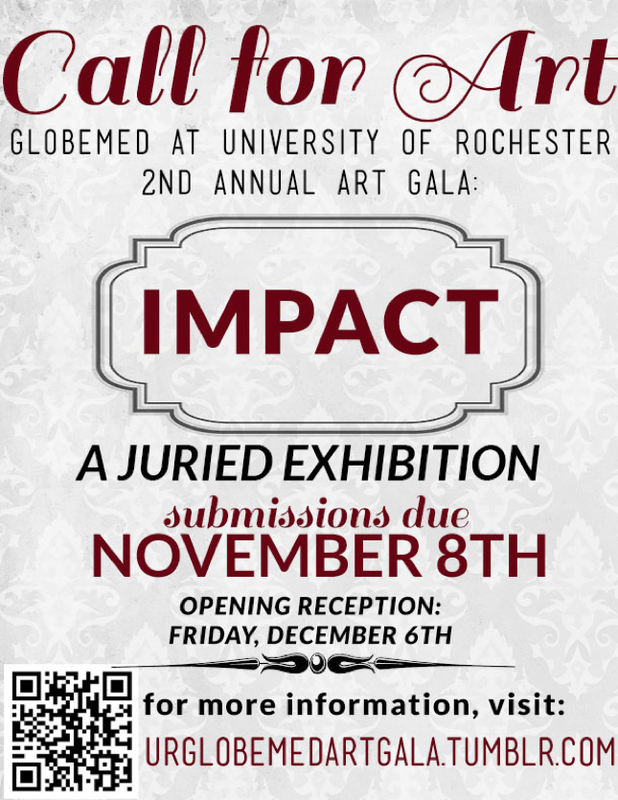 See webpage http://www.urglobemedartgala.tumblr.com or above flyer for further information. Those who attend will learn ways to prevent Breast Cancer, have an open discussion about breast health, and have an opportunity to receive a free and professional bra measurement. Additionally, Zeta Phi Beta will be tabling ALL month long for the Breast Cancer Awareness walk on the 20th of October. You can find them at Rochester Institute of Technology, University of Rochester, and St. John Fisher College. If you need transportation for tomorrow’s event please email us at: zphib.chilambda@gmail.com. The Susan B. Anthony Center for Women’s Leadership will be hosting national speakers to address issues of gender in the military and related issues of trauma and abuse. The webpage and registration for the Gender in the Military Conference is now open, registration is available through this page as well: http://www.rochester.edu/SBA/events/GenderInTheMilitary2013.html. Please register as soon as possible, as counts are due shortly. Please contact Corey Nichols-Hadeed at Corey_Nichols@urmc.rochester.edu with any questions or concerns. This conference will discuss the everyday persistence of racism and sexism in America, particularly on college campuses. 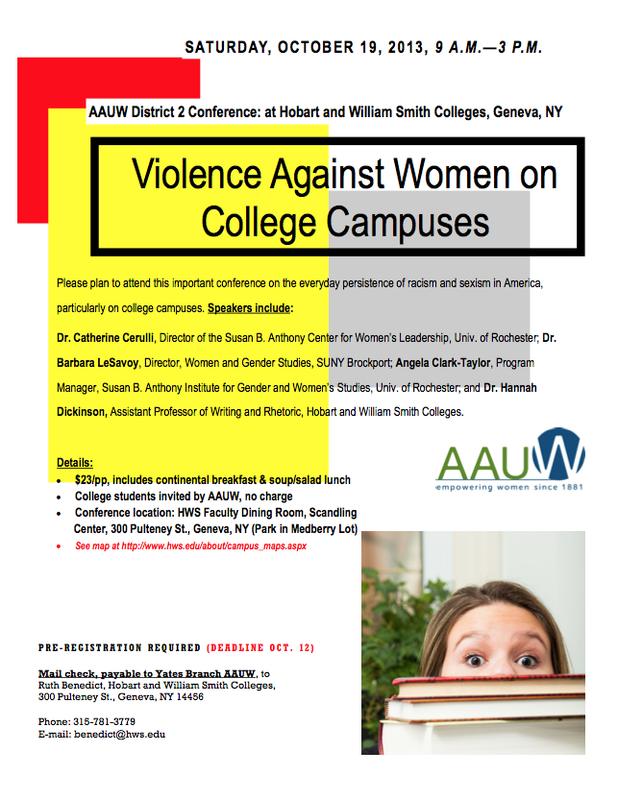 Speakers include: Dr. Catherine Cerulli, Director of the Susan B. Anthony Center for Women’s Leadership, University of Rochester; Dr. Barbara LeSavoy, Director, Women and Gender Studies, SUNY Brockport; Angela-Clark Taylor, Program Manager, Susan B. Anthony Institute for Gender and Women’s Studies, University of Rochester; Dr. Hannah Dickinson, Assistant Professor of Writing and Rhetoric, Hobart and William Smith Colleges. Registration information can be found on above flyer, the RVSP deadline is October 12th. 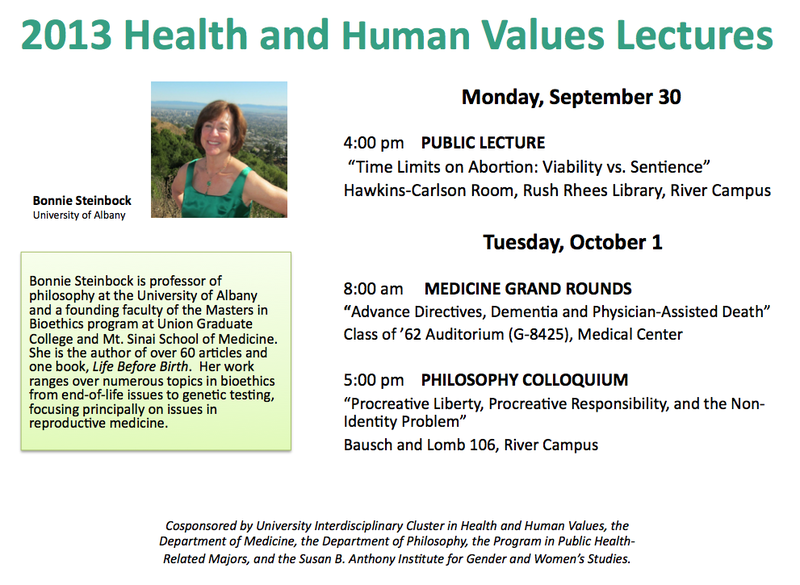 We hope you can make it to some of these exciting events!